Arx Engineering is a structural design firm specializing residential buildings. Our business is designing structures, but our purpose is delighting clients with our services. The word “Arx” (pronounced “Arks”) is Latin for “fortress” or “stronghold.” The company was started in 2009 by Ryan Briggs. We pride ourselves in communicating with you from start to finish to make your project a success! Cypress is an organization dedicated to creating lasting design, anchored to its environment & place. The company name is taken from the cypress trees that grow in wetlands and swamps - some are hundreds of years old and become more beautiful with age. Cypress offers the best possible experience for those seeking professional design services. Responding to the challenges of a project in creative ways, and building a trusting relationship with the client - As time passes; this interaction and understanding is what really matters. Dennis Bedford Residential Designer has been in Business since 1999 and offers comprehensive services in Residential Design. For every project, no matter the scale, challenge, or level of complexity, our objective remains faithfully centered upon design integrity, innovative efficient approach, and excellent services to our patrons and clients. Our design portfolio covers a broad range of stylistic diversity. Our team at Dennis Bedford Residential Designer strives to adhere to the tradition of design par excellence with which our name and reputation have been synonymous. Our credo is one of devotion to design ethos without binding oneself within a confined limitation of a singular style. Whilst the general approach remains true to the Classical school of thoughts from which the Moderns sprung, our portfolio embraces an exuberance of stylistic range. We take pride in the creation of novelty and unique solution even within the strictest historical setting; the stylistic aberrations, that is, our signature style is an amalgamation of the Classics and the Moderns, which together attain an equilibrium resembling those created by mother nature. Residential Designer limited to custom homes. Pinnacle Architectural Studio is a full service Architecture, Interior Design and Construction Administration firm, specializing in high end design custom fit for each client. "My goal as a residential designer is to make your vision of fine living a reality"
How do I find the best Summerlin architect for my home design project? It is best to hire a home architect who will be involved in all phases of the design process, from the initial concept to the completed construction. The architect is often the first person you will hire for your project. If necessary, they might also help you select and hire Nevada subcontractors, which can include the builders, engineers and landscaper. Interior architects are also involved in negotiating contracts for all involved participants. It is for these reasons that it is extremely important for you to have a good relationship with the Summerlin residential architect you hire. He or she can be the tie-breaking vote between you and the general contractor and can be your biggest advocate during the construction process. Different architecture firms in Summerlin, NV provide different services, so the scope of the work can span from pre-design environmental impact studies to selecting furniture and finishes, depending on what your specific needs are. It is very important to hire the right professional for the job. Remember that the most well-known or established designer might not provide the best architectural services for your needs. It all comes down to the individual project. Research and ask people whose work you like for recommendations. It's important to have somewhat of an idea of the style of house architecture that you prefer, as well as the amount you would like to spend. Residential architects in Summerlin, NV are natural problem solvers. They will assess the entire situation and help you to solve your problems too. Don't settle for a single company too early. Call and interview a few. Make sure that you feel like your personalities will mesh well and that you like their professional perspective. 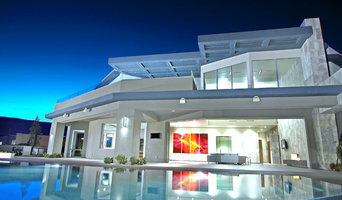 Find a home architect in Summerlin, NV on Houzz. Narrow your search in the Professionals section of the website to Summerlin architects. You may also look through photos of Nevada projects to find interior architects and building designers who have worked on a project similar to yours.